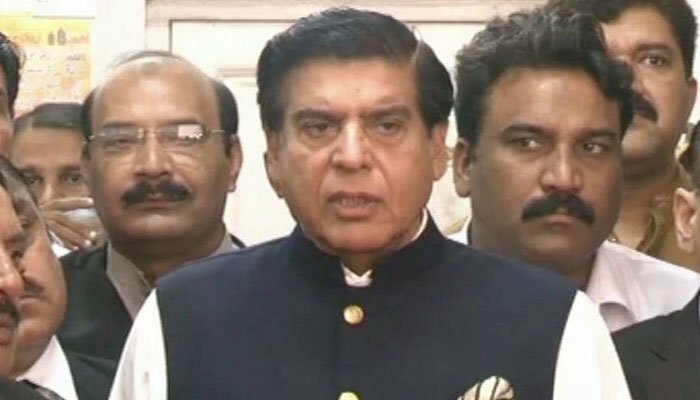 Former prime minister Raja Pervaiz Ashraf has denied that his brother is involved in an attack on the house of a poor Christian family in Gujar Khan. In a press statement, Ashraf said that the PPP has always defended the rights of minorities and raised voice for their rights. So how it is possible that any of his family member can be involved in such act, the statement said. The former PM said that he found out about this incident through the news report. He demanded a thorough investigation in the incident and strong punishment for the perpetrators. Earlier, Bashir Masih, a retired sanitary worker of the Punjab Health Department, had said that his house was attacked by at least 12 armed men on Sept 21, Ashura day, in an apparent attempt to grab the property. He had alleged that the suspected land grabbers enjoyed political support of former PM Ashraf’s brother, Raja Javed Ashraf.